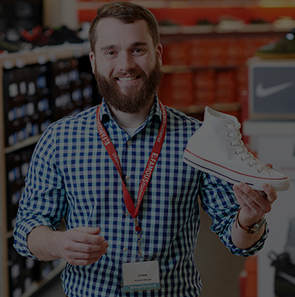 The Famous Footwear Creative team believes in omni-channel brand consistency by working in a collaborative and inclusive workflow alongside other Famous Footwear teams. We focus on a consumer-obsessed mindset, grounded in our brand promise. We seek a Production Artist with a positive, self-motivated attitude to contribute and enhance our Famous Footwear Creative and Marketing team capabilities. •	Effectively problem solve in managing workload, design challenges, file management with an open communication style. •	Possess a well rounded design skillset who can move between an ever-changing digital asset specifications to standardization of print details. •	Support the creative team in their strive to uphold a visual brand identiy system through omni-channel communications. •	Proficient in Adobe InDesign, Photoshop & Illustrator (Mac platform). Knowledge of Sketch App a bonus. But most of all, we seek believers. People who share our values and our ferocity for fit. People who believe remarkable things are possible and will not stop striving for them.